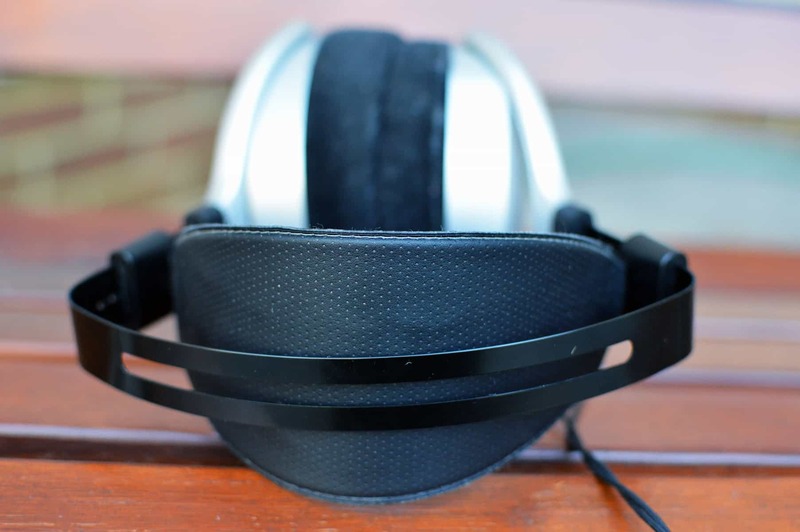 HomeOpen Back Headphone ReviewsHIFIMAN HE400S Review | STELLAR SOUND! 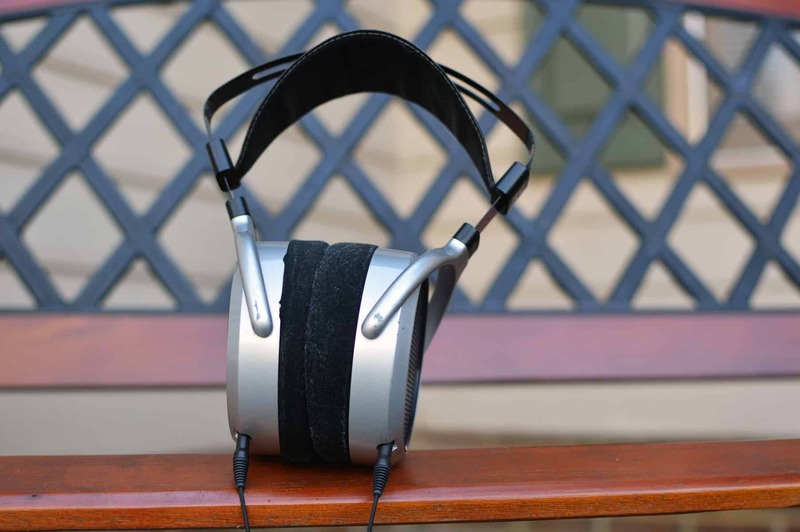 Before we get into the HIFIMAN HE400S Review, grab a snack, sit back and relax because.. Weight: 12 Oz. (350 grams). Color: Silver with Black trim. 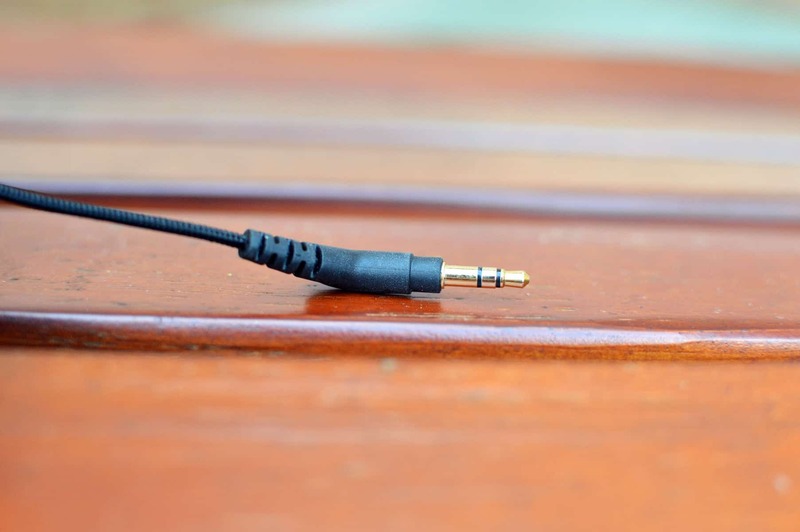 Accessories: 1/4″ headphone adapter, headphone cable (1.5m). Man I really love these headphones. I got a chance to demo them at a home theater store. My local Audio Advice lends out headphones for audition, and at first I didn’t have a strong reaction either way. As I continued listening with them it’s like a light bulb went off and I couldn’t believe how phenomenal they sounded even out of my smartphone (I use Android). I was using both Spotify and Deezer as my sources, as well as the Bryston BHA-1 and more recently a NAIM DAC V-1. I believe most of Spotify’s songs are 192 kbps, but if you’re a premium member you get the coveted 320kbps. The more you can listen with high quality source files the better your listening experience will be. That said, the 400S handles just about anything well! As much as I like them, they do have a bit of an obnoxious character at times, and are definitely in your face and more intense than a 400i. 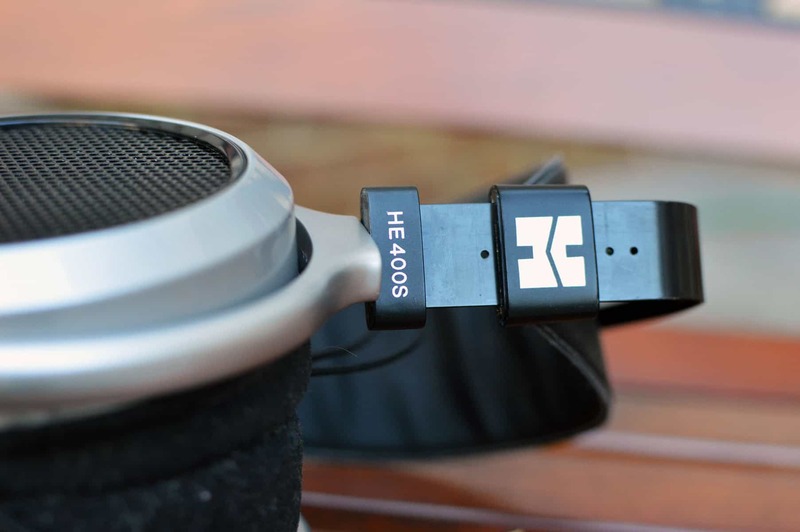 Learn more: HIFIMAN HE400i Review!! The 400i is more laid back, and has a glossier, smoother overall sound. It’s warmer and more lush, while the 400S is cooler and has a brighter response. 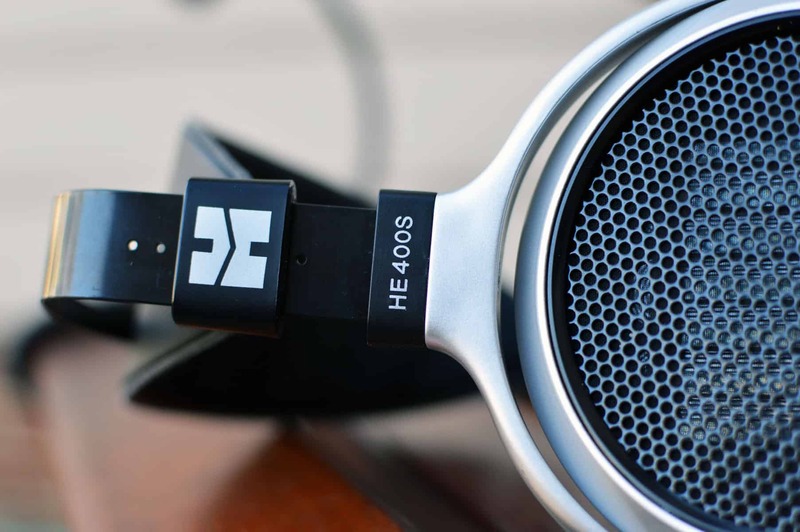 I would say that the relationship between the 400S and 400i is similar to that of the Sennheiser HD600 vs. 650. The 600 is more sterile and clinical, while the 650 is warmer. 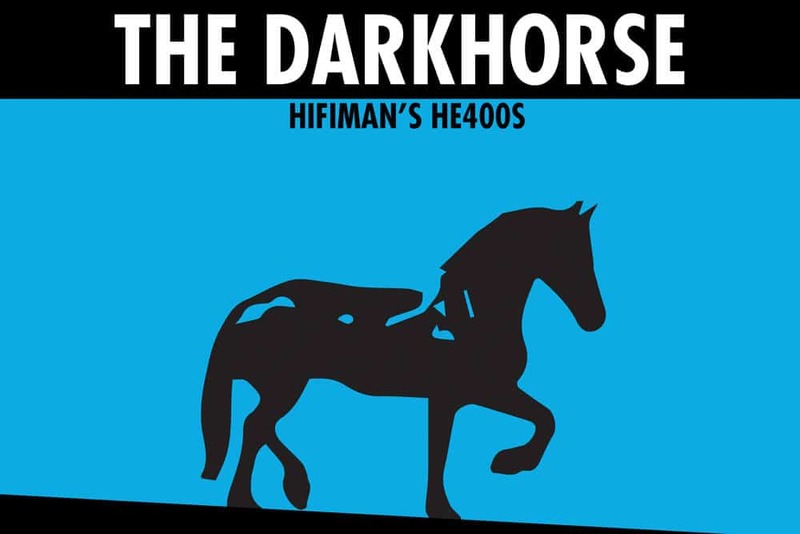 Learn more: HIFIMAN HE400S vs. 400i! I would recommend the HD600 over the 400S when it’s all said and done. I believe the 600’s to be analytical without sounding harsh or out of line. The treble is going to be somewhat darker, but this will ensure much less fatigue over time. The 400S will wear you out quicker for sure. Comfortable overall, but there is a caveat. More on that in Stu’s notepad. The bass is tight and very detailed. It’s there when it needs to be or when the song calls for it. Very detail oriented. I was starting to hear new things in songs I’ve heard a thousand times. 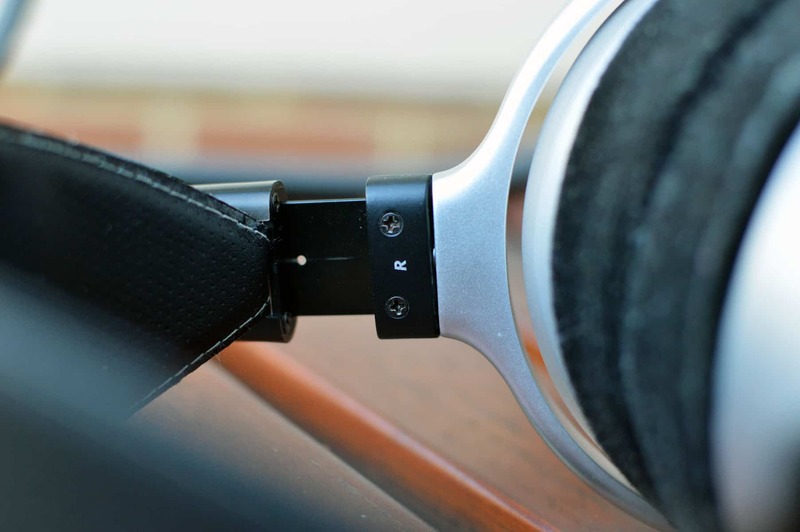 The 400S is a very subtle type of headphone in that it exposes things that you normally would never hear or pay attention to. Great instrument separation. They have this knack for spreading things out very evenly. More on that in Stu’s notepad. Great mid-range. Vocals and instruments really come alive. They have this fantastic crispness about them that really makes you want to smile and tell someone. The L-shaped plug is a pain with the Otter Box. Mine frequently popped loose if I just set the phone down on my lap face up. The braided cable is kind of awkward and doesn’t move freely about like I would prefer. It also seems prone to breaking down, which is a common complaint among-st reviewers. Click to see the 400S! An amp isn’t required, but will greatly aid you in the studio when you’re sitting at your desk. I absolutely love these straight out of my phone though. They aren’t too loud or too quiet; it’s a nice happy medium. Opportunity H2 DAC and Amp. HIFIMAN Super Mini Hi Res Portable Music Player. Samsung Galaxy S6 Audio port sounds good. Sounds good out of a Macbook Pro. Bottlehead Crack. They really shine with this one. Audioquest Dragonfly DAC (Black). Seems to be a popular combo. Out of lower end portable, MP3, and tablets with questionable hardware. The sensitivity being 98dB means you’re going to have a tougher time getting good listening levels out of a phone or something without a good DAC. With the Brainwavz FocusPads (replacement ear pads), more bass driven music comes to life. The problem with this is that they cost an additional $40 when they should be included for no extra cost, or used as the original ear pads! It really defeats the entire purpose. They also add bass at the expense of the luscious 3D sound signature. I do think the pads here are a weak point, but I would rather get an exact replacement of the originals then sacrifice the great soundstage for more bass. I just don’t feel like I personally need more, but some people did complain about it. The bass on this headphone is very lean, dare I say light, but man it’s detailed. If the song was mixed with more bass, you’ll know. If it wasn’t, you’ll know. What I love about it is that it feels integrated within the mix. It’s not like, “Hey man here I am. Pay attention to me.” It’s more like that leader who leads by example rather than always spouting his mouth off. It’s also never in your face or too loud, even if the song calls for it. It sits beautifully in it’s place. 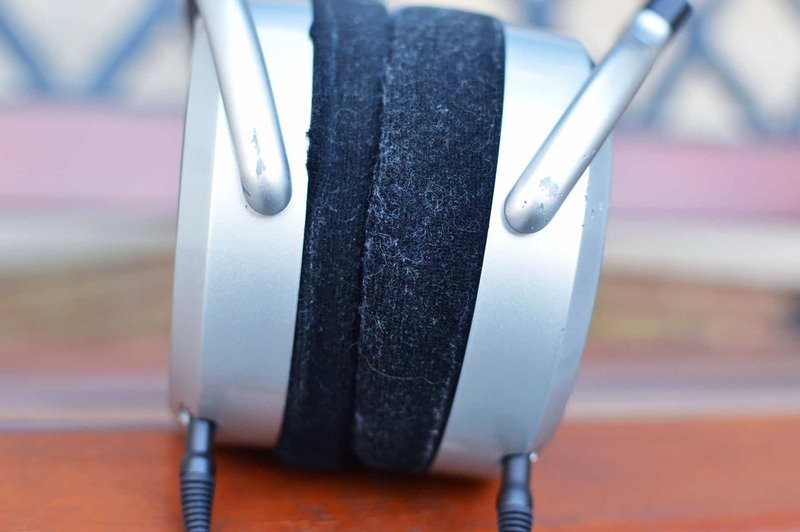 The comfort is pretty decent overall, but there are a couple of issues: One is the ear-pads. They tend to deflate over time, leading to an awkward fit. Whereas a headphone like the HD600’s have a rather tight clamp, the 400S loses it’s ability to stay on your head properly because of the ear-cup issue. After about a couple of hours, the cups slid down and started to hurt the tops of my ears. I frequently had to push up to remedy the problem. The good news is that you can replace the ear-cups, which you will most definitely need to do over time. As alluded to earlier, this is a very detailed sound. Little things really start to come out in the song, and you get a clear understanding of how the artist intended for the mix to come out. I can’t overstate this enough: This is a very subtle type of headphone. You’re going to love sitting back with these and marveling at the finer points. You may have heard Pink Floyd’s Have a Cigar a thousand times. I know I have. But I still caught stuff that I had never heard before. Specifically, there’s a couple of sounds at around the :52 mark that became prominent when they had never made themselves known in the past. There’s also a guitar that trails off at :48 that I never noticed too. These seemingly small things complete the song and make it sound whole, and the way the 400S presents it is fresh and exciting. The Soundstage is pretty remarkable. Everything seems to be meticulously placed in a specific area, so as to bring the song together as a cohesive unit rather than just frequencies existing in space. So many times we hear a song and stuff starts to run together. The bass may be overbearing and interfere with the clarity of the mids. Or the treble may be too bright and distract us from hearing the bass. The 400S handles the spectrum with ease, and truly reveals what the instrument is supposed to sound like. What is Timbre? I would say the build quality is decent. While I didn’t feel like they were flimsy and absolutely cheap, I also didn’t marvel at their weight or sturdiness. They’re the kind of headphones that may break down over time with some abuse. On Pink Floyd’s Money, I heard this weird guitar in the background that I had never noticed before. It became astonishingly clear to the point of me feeling a bit uneasy. Lol. Again, the 400S has this uncanny ability to spread out sounds like butter on toast. It’s really refreshing, so wash it down with some Apple Juice baby! A phenomenal sounding headphone with some potential build issues and a weird wonky cable. Definitely will want to go aftermarket here. Gets a tad uncomfortable overtime, and the ear-pads tend to want to deflate even though they seem to be made of velour. Even despite their issues, I would still probably buy these and be completely fine with it. They’re not going to be your on the go headphone by any means, nor even your primary one. But good golly they sound amazing. I’m not even exaggerating here. As for your primary headphone? Gotta go with the HD600. It’s the quintessential studio headphone, and outclasses nearly everything even being over 20 years old. Interested in an in depth and informative discussion? Well that’s about it for today my friend! 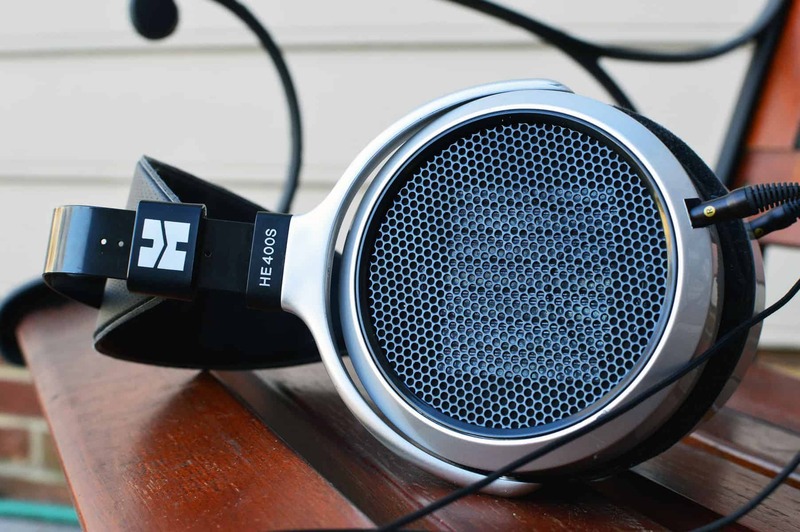 I hope you’ve enjoyed this HIFIMAN HE400S Review. Which of these tickles YOUR pickle? Would you invest in the 400S? I would love to hear from you. Until next time..
Great review, Stu! I have owned a pair of HE400s for 2 months now and am totally happy with them. For the price I believe they are truly the “Chefs mistake” as no other headset, planar or dynamic, sound as good as these baby’s do for the price. I thought they had no bass at first until I really listened to them and found out the bass actually sounds very articulate and accurate compared to any other headset I had owned. My Sony 1000MX2’s sound awesome but as good as the bass is with them I find it exists in the same sonic latitude as a lot of the lower mids do. With the HE400s this stepping on toes does not occur, and I can hear highs, mids, and bass as all being perfectly separated from one other with a great soundstage to boot! So is this a headset for “bass heads”? I would say no, but the bass they do provide is accurate and totally satisfying. I am like you and have heard things I never heard before on recordings, whoo hoo!!!!! Excellent depth and soundstage too.. Overall, a great choice for anyone who thought they could never afford to own a quality sounding planar headset……awesome sound, a true game changer. Thanks for the great review Stu, keep them coming! Thanks Neil! Comments like yours are what keep me going. I agree wholeheartedly on the 400S. It really grew on me and is an underrated gem. If you ever need a hand with anything just contact me!! Thanks for the response Stu, I totally enjoy your reviews! I have gained as much or more knowledge and insight from your site as I have from any other I have seen. 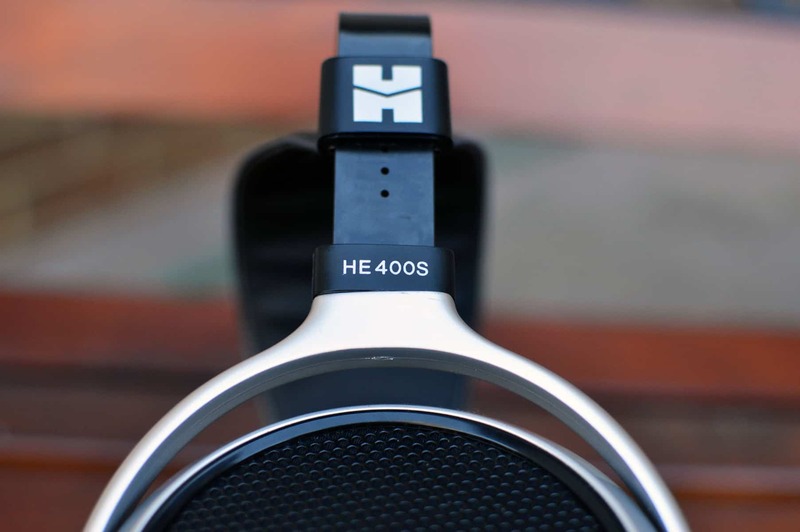 I am a true fan, and although I have most certainly perused and totally enjoyed your headset reviews, when I upgrade to a fancier planar headset I’ll be asking your advice for sure……the HE400s may be my first planar, but it won’t be my last!! Right on, Stu, absolutely use my comments for sure!! Thanks buddy. Looking forward to speaking with you again.. Enjoy the 400S!!! Hi again Stu! I forgot to ask you about something you mentioned in your excellent review of the HE 400s. I had heard about using different pads to improve the bass before I even bought the headset, so I ordered a pair of the Focus pads, but have not put them on yet. The main reason for this is I have actually come to really like the sound from the stock velour pads, plus they’re quite soft and comfortable. As you mentioned in your review, when there is supposed to be bass there, there is, and I find it fairly accurate, tight and refined. You mentioned not trading the moderate increase in bass the new pads would provide for the “luscious” 3D sound the stock pads provide, and I totally agree…..as I don’t really need more bass but am totally enjoying the lovely spacious sound I hear now, I’m thinking of not putting the Focus pads on unless mine wear out or I have to for some reason. I actually find my other headsets bass and middle “heavy” now since getting the 400s! After all that Stu, my question is this. I have heard a couple of other reviewers say exactly the same thing you did, that the Focus pads do offer a small increase in bass response but at a trade off for other delicacies of sound. Do you actually believe this to be true, and if you have heard the 400S with non stock pads which ones were they? If it was unanimous the sound would definitely improve in every way I would put the new pads on without delay, but it seems opinions on this vary. Just wanted your take on the matter, Stu. Thank you!! I have not heard the 400S with any other pads other than the stock pads. They do tend to flatten out over time so I would hang on to your Focus pads. Have you tried pushing the headphones forward on your head so the backs of the cups touch the backs of your ear lobes? It really enhances the sound and makes it even more 3D in my experience. As for the Focus pads, I would def try them out as there is nothing wrong with experimenting. The only thing is that in my experience, changing out the pads on the 400 series is a bit tedious. I had to do a glue job on the demo model I had and it was kind of a pain in the rear to be honest. As for your question, it’s funny; I really do believe too much bass can ruin a good sound, and would even go so far as to say a significantly rolled off bass is better for clarity and detail, but at the expense of a hollow type of sound that becomes fatiguing and lifeless after extended listening. 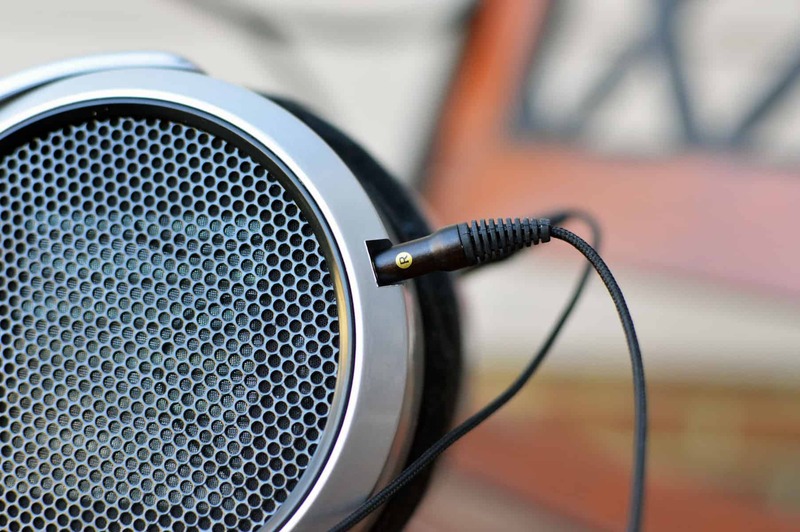 As much as I would love to say I prefer clarity above all else, I appreciate what a headphone like the 650 achieves. It’s warm and full bodied but also still immensely detailed. There is bass roll off, but it strikes a perfect balance of being not too much and not too little. In that sense, I do prefer more bass but just not too much if that makes sense. So yeah, more bass does sacrifice detail to an extent, and most headphones tend to miss the mark in this regard. They key is providing just enough where the sound doesn’t become overblown, but yet isn’t too hollow. Like you, I prefer less bass out of my cans nowadays and appreciate mid-range clarity and detail above all else, with a darker sounding treble. You were TOTALLY bang on with your suggestion to push the HE400s forward on your head so the back of your ears are near the back of the pads. After 3 nights of testing I have determined you don’t even have to slide the headset forward that much. Even a small adjustment yields a crisper, more focused sound, especially the vocals. Awesome suggestion, I’m doing it every time I wear the headset now. I wonder if the same technique would provide similar results with other models from Hifiman, like the HE400i or other models with similar sized cups? I wonder if the Audeze models would change sound as well seeing they have big earcups as well? Yeah man, I found that it also works with headphones like the 400i, as well as HIFIMAN’s newer “Sundara.” Grado headphones like the GS1000e with the G-cushions also benefit from this little hack as well, and Audeze’s do too (IIRC). It doesn’t have the same effect on all headphones though. What kinds of music are you listening to? Awesome thanks Stu, great answer!! Ya it doesn’t work with my Sony’s either cause they fit tight around the ears and there’s no room to slide the headset anywhere. I listen to just about everything from Jazz to classical, country, rock, folk, big band, ancient Egyptian, monk music, international, instrumental, and darn near everything in between. I will listen to just about anything, especially if it sounds good. My equipment is not nearly as fancy as yours, Stu!! In between my HE400s and my iPhone is a Dragonfly Red, and that is my setup! 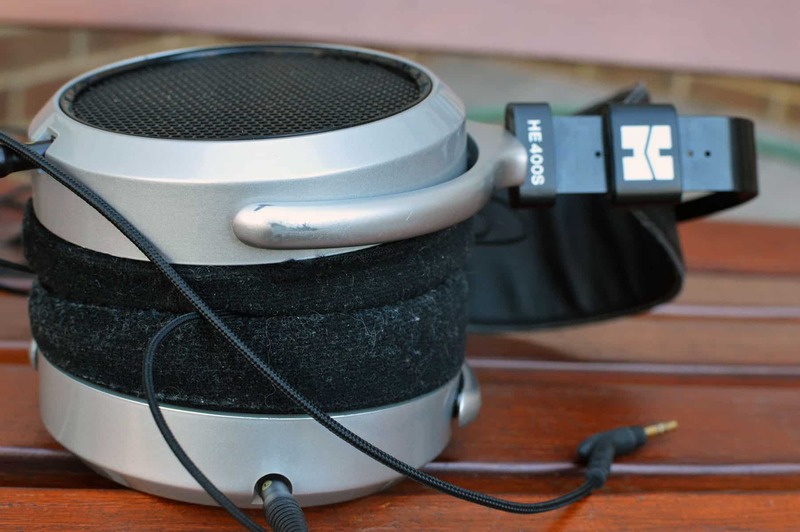 BTW I took the plunge and put the Focus pads on the HE400s…….took them back off within 10 min and put the stock velour ones back on instead. I did NOT like the sound from the new pads….a tiny bit more bass but overall a much “closer” and less punchy and detailed sound. I found it wishy washy….I’m sure I’m the only one who feels this way about the Focus pads because everyone else said they were definitely an “upgrade” to the sound of the HE400s. Guess I’ll get some extra velour ones for when mine “smash “ down as you were saying the stock pads can do. I know my headset is only entry level, but I sure have enjoyed the “planar” sound so far!! My other two headsets, the Sony WH1000xm2, and the B&W PX, both sound one dimensional and too bassy to me now that I’ve been listening to the Hifiman for a couple of months. The planar separates musical elements wonderfully and treble, mids, and bass are each their own entity with no bleeding of sound or muddling together of frequencies. I’ve thoroughly enjoyed the sweet, clear soundstage it provides. When I wear this one out I’ll be asking your advice on the best planar I can get my hands on in the range of say, around $1000-$2000. 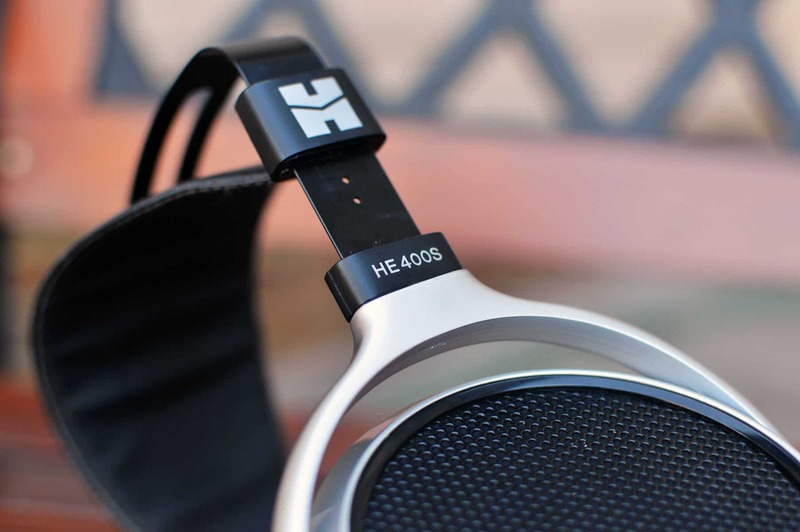 If it wasn’t for Hifiman and their bargain basement price for the HE400s I probably never would have tried a magnetic planar because they were just too expensive. Now I’m hooked!! Thank you so much for your comments Stu, I really enjoy your site and particularly your excellent headset reviews. Keep up the great work!! I don’t really have any fancy equipment bro. Lol. I like to demo stuff though. Right now my main set up is just a Schiit stack and an Oppo HA2 but I’ve been looking to upgrade or just try something new. I kind of want to get a tube amp like the Bottlehead Crack or a Darkvoice 336. I am actually demoing some different amps and DACs right now including the FiiO E10K, JDS Labs O2 which I really love, a Cambridge Audio DAC Magic 100 which I paired with the 02, and an Audioengine D1 which is a fantastic amp/DAC combo that also can power your studio monitors and function as an amazing Gaming Rig. I got to try a Dragonfly Red as well a few months back and loved it. I may actually get one of those for portable use when I travel and get a really nice tube amp set up for the apt. I do like the WH1000XM2 but I’m not a huge Bowers and Wilkins fan. Their P7 is horrible in my opinion, but the P9 is actually fantastic. Problem is it’s like almost a thousand dollars. It’s a very good sound though. You should try one out if you get the chance. Yeah planars can be quite fascinating to say the least. I remember when I first heard an HE400i with a high quality Zeppelin CD. I was listening to “Over the Hills and Far Away” through a Bryston BHA-1 (which is like a $1400 amp) and was completely blown away by how real it sounded. It was that light-bulb moment when you’re like “This is what music is supposed to sound like.” It was articulate in a way that really cannot be described adequately with words. Then I remember hearing “Time” by Floyd and Gilmours backing guitars had this really weird quality to them. They were so raw and honest that it kind of scared me. Haha. Anyway, thanks for engaging in this dialogue with me and I look forward to talking with you again! Ya I have heard the HE400s pads are a bit of a pain, not so much to get off but rather to get back on!! I’ll snort a few beer down one night, give it a whirl and let you know if I wrecked them or not!!! I tried your suggestion and slid the earcups forward, and I’ve got to say I honestly think it DOES alter the sound!!! How I have no idea, but you’re right, it does…..In my opinion it does the most to vocals…….it kind of “reigns “ them in, so to speak. Instead of them appearing from my 11 to 1 o’clock somewhere in space, it seems to tighten them up and place them almost precisely in front of my face somewhere. I sense them to be more precise and maybe even having more definition, yet still lovely and syrupy smooth. It seems to take the whole soundstage and move the focal point in towards the middle more, as well as provide at least as much if not even more quality bass thump and general transient “attack”. I don’t know how you figured that one out Stu, but you were right and I loik it…….I loik it a LOT!!!!! Thanks again for the taking the time to respond! Stu-soms, thanks for the great response to my Aug 20 post!! There was no “reply” tag at the end of your response like there usually is so I’ll reply here instead!! I know what you mean about B&W, as I had listened to my Sony for two months before hearing the “PX” , which I bought for my wife, for the first time. I thought they sounded bizarre actually, and I wasn’t all that fond of them. To their credit, they did sound a lot better after the 30 hour recommended break in period, but I still find their sound much more pointed and closed in than the HE400s. Very left and right, and close. The reason I got Bluetooth noise cancelling headsets in the first place instead of audiophile was noisy neighbors where I live. They jump around like idiots all night and the Sony WH1000xM2 has been AWESOME as far as noise cancellation goes, I recommend it highly for that reason alone. The B&W P9 you mention seems to be pretty high tech for a dynamic unit, and has extremely excellent reviews so I would like to hear one for sure!! I would REALLY like to hear something like the Audeze LCD3 or something like it, but there are none of those to be found where I live, so until then I’ll steam along with what I have. I’ll rely on your reviews to know what’s good and what’s not!! Anyways, thanks Stu……the responses you give people are unique…..you have the knack of making your readers feel their question or response is the most important thing you have answered all that day…..it’s a trait that is seen far more seldom than often in people. It is obvious you have a great passion for what you do, and your site and your genuine friendliness proves it. It’s been a pleasure…..keep on trucking, my friend…. Thanks so much man. It’s comments like these that keep me moving forward because not everyone is so friendly. Lol. The P7 that I demoed just sounded clammy and placed too much emphasis on bass. Not only that but the bass was just really bloated and weak sounding. I’ll have to try them again but this will be like the third or fourth time so I doubt my opinion will change. That’s why I was so shocked at how good the P9 sounded. It was like a different company tuned the headphone. The Audeze LCD3 is really good, and so is the LCD-X which is probably my favorite from them so far. I really like the Sine too. One of the most natural sounding headphones I’ve heard. Anyways, keep me posted on things! I love talking to people about this stuff. Awesome Stu….ya, the LCD-X, that’s what I want!! The reviews, including your own, indicates this is a killer headset plus it’s not 4 K! !….I totally agree with you about planars…….I too heard stuff in a new way……On “Sounds of Silence” Paul was way right and Artie was way left and they were both so intriguingly clear and the instruments so precise I could hardly believe it. I had never heard the song that way even though I had heard it a million times before….. very cool…..
Anyways, great talking to you , Stu ….keeps those tantalizing reviews coming…….you are truly da man!!!! Yes, the LCD-X should probably be your next open back purchase. But dude, you may bypass it for the MrSpeakers Aeon Flow. Haven’t heard a headphone this good, maybe ever (at least as far as closed backs are concerned). It’s absolutely stunning what Dan over at MrSpeakers was able to accomplish with this baby. In fact, I would consider it the closed back version of the LCD-X at a much lower price. Must be heard. Perfect amount of bass (not to rolled off or hyped), flat mid-range and darker type of treble. It’s phenomenal. I haven’t tried the open back version but this is the sound signature that I have found I prefer over all others. The LCD-X has a similar signature too. Check out my review: MrSpeakers Aeon Flow Review! Thanks for the encouragment as well. Got a lot of stuff in the works. Check me out on YouTube as well and leave some love if you want! Just like an informational buffet…..Some mucho tasty tasty info, Stu, thanks! I never even thought of MrSpeakers because I had never heard of them!! Now that I’m getting all ramped up about planars I’m finding out about the few companies that make these quality units, and thanks to the best reviewers around like yourself and Tyll Hertsens which ones are the best. The Aeon has strange reviews because most of them indicate the sound being “strikingly different ” , and some reviewers aren’t even THAT fond of them at first UNTIL….they give them a good listen for a couple of weeks and then the practically unanimous word is they are an amazing set of cans, just as you have indicated. I will try to find out how I can locate a pair to audition, as your awesome review on them is convincing and an excellent read. I’ve seen some of your stuff on YouTube as well Stu, and have enjoyed it very much. Keep those creative juices flowing, bro!!!! To be mentioned in the same breath as Tyll is quite the compliment my friend. I will say I was immediately impressed by the Aeon. It strikes a perfect balance of bass and mid-range, with a treble that doesn’t make me want to gouge my eyes out. Lol. Thanks again for the encouragement. I do have a lot of unique ideas for the Channel as well as this site. Thank you Stu, I will. I’ve enjoyed our correspondence very much. Tyll is a technical marvel but you are a practical marvel. It’s the best of both worlds…. That’s a cool way of putting it actually. I appreciate you immensely brother. You just don’t know. Take care and talk soon.